A perspective of what the new pier will look like, It's under the regulated limit to not interfere with boat traffic, the curves just make it appear a mile long! it's actually the same length as the old pier. Expected to be completed within the next week. 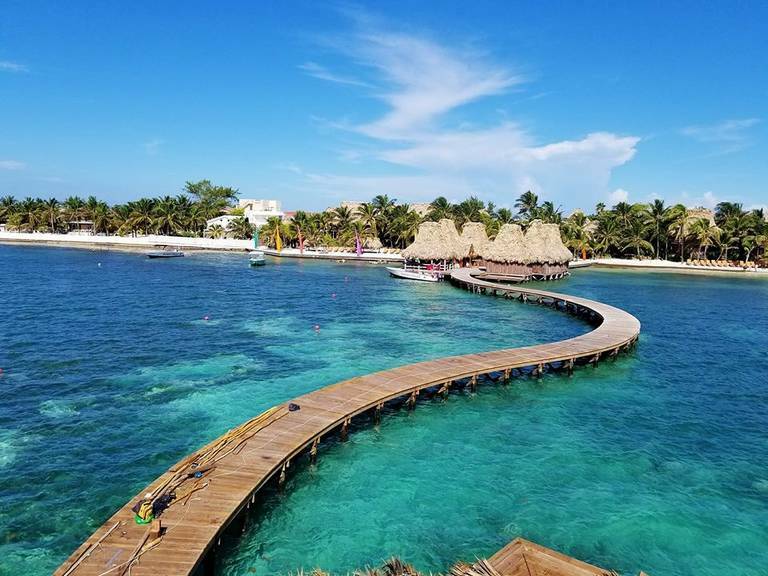 You can walk out to the end and snorkel, at the bottom right corner of this picture you can see the corner of our swim platform, and to the left of that is the new palapa.